Our volunteers rock. Simply said. Mud, Camille, and Madeline HUGE HEARTS and veggie love to you! (Not to mention our youth staff who volunteer LOTS of time outside of paid hours - Johnny & Chopin!) You make days like this possible. 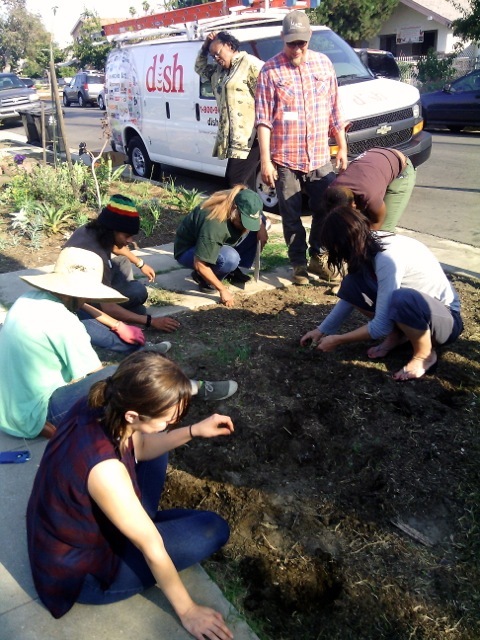 Back to school with RootDown LA!